Unlike downhill skiing, cross-country skiing is an affordable winter activity, unless you start racing professionally of course. But that’s a post for another day. With lift tickets for downhill skiing resorts costing over $100 per day, the sport is prohibitive for some. Cross-country skiing resorts on the other hand, often only charge between $15-25 per day, if there are fees at all. Places like the Canmore Nordic Centre are free after 4pm and are lit up for night skiing, so you can ski for free later in the day. 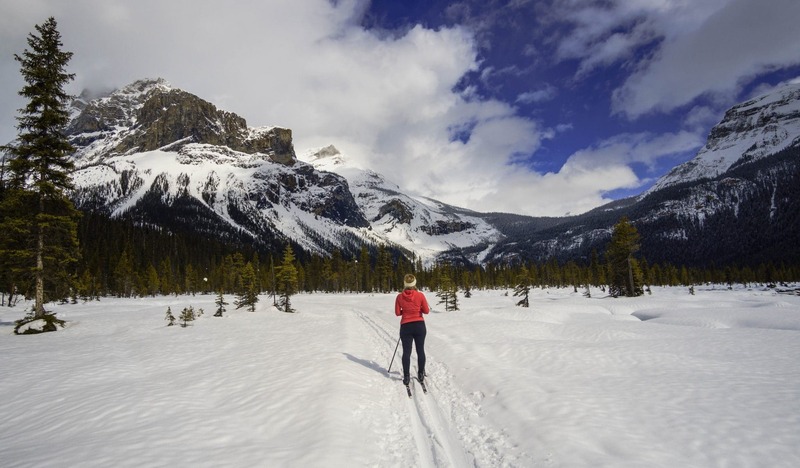 The incredible ski trails in Kananaskis are groomed and track-set by the Provincial government and the trails in Banff are maintained by the Federal government and are free to use, although for Banff you will need to pay the park entry fee to access the trails. Likewise in Yoho National Park where volunteers from Kicking Horse Ski Club groom the trails and appreciate donations to use the trails. The gear for cross-country skiing is much less expensive to buy or rent than downhill skiing gear too. We always recommend checking out local gear swaps like the Calgary New and Used Ski Sale where we both scored our nordic boots, poles and skis for a song. I’ve also found my never-used downhill skis there for about $300 less than they would be in a store so there are great deals all around and buying used is a great way to reduce environmental impacts. If you’re interested in saving money on rentals, try picking them up in Calgary rather than directly from the resorts. 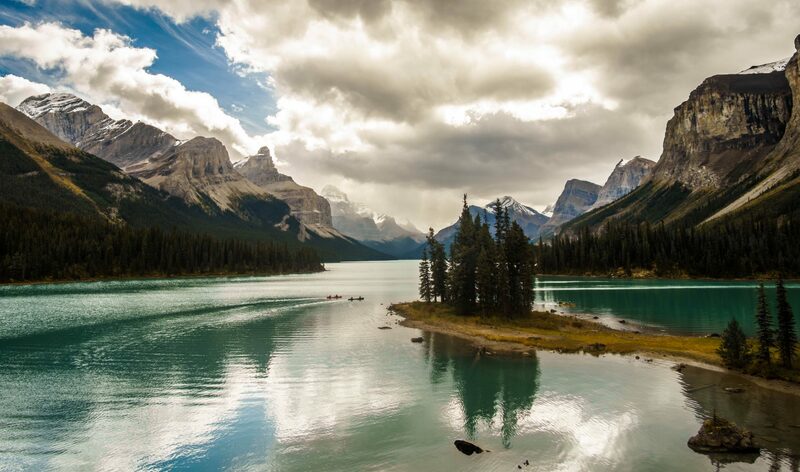 Rentals from MEC, University of Calgary Outdoor Centre, and Sports Rent in Calgary, and Gear Up in Canmore and Wilson’s in Lake Louise offer great value too. Cross-country skiing is a fantastic way to exercise outside in the winter. The sport is easier on your joints than a lot of others and was recommended to me when I was recovering from a serious knee injury. It’s also a family friendly activity and we have seen children of all ages, including infants in cool ski-trailers having fun on the trails. There are also some places that allow dogs like West Bragg Creek and Nipika. Be sure to check trail restrictions ahead of time if you plan on bringing your pooch since bringing them to the wrong place can result in a fine. The technique for classic as opposed to skate-skiing is basically walking (or hip, kick, glide!) and while no training is required, some instruction will help you to ski farther and faster while delaying fatigue. We’ve written before about how much we love the affordable courses offered through the University of Calgary’s Outdoor Centre and their skiing ABC course helped us get more comfortable on hills and be able to ski longer without tiring. If you catch the bug and want to push your skills further, there are multiple training options out there through among others, the U of C Outdoor Centre, the Norseman Outdoor Specialist store, and Foothills Nordic Ski Club. We hear this a lot. Why would I ski when I could just snowshoe? Well in our experience, snowshoes are really only required the day after a big snowfall. Once any time has passed since the last big dump of snow, the trails will get packed down and it’s easier to just walk on them. Skiing on the other hand, allows you to go farther and stay out longer to see more of the beautiful sights out there in the Rockies. While a 3km snowshoe might start making you feel pretty tired, I find that I can easily ski 15km despite being a curvy asthmatic with a bad knee. 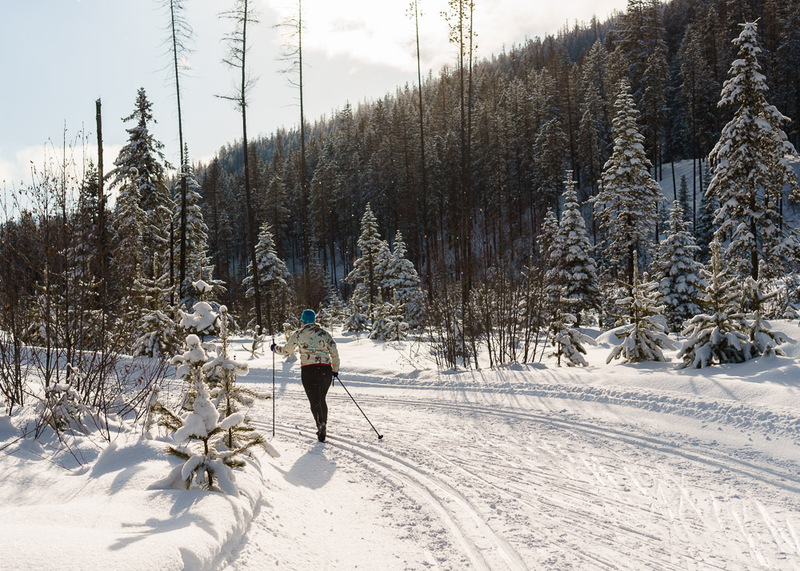 Indeed, cross-country ski trails often go farther into the backcountry than trails for other activities and allow you to access beautiful terrain in relative solitude. For us, it’s also just so much more fun to glide than to stomp. 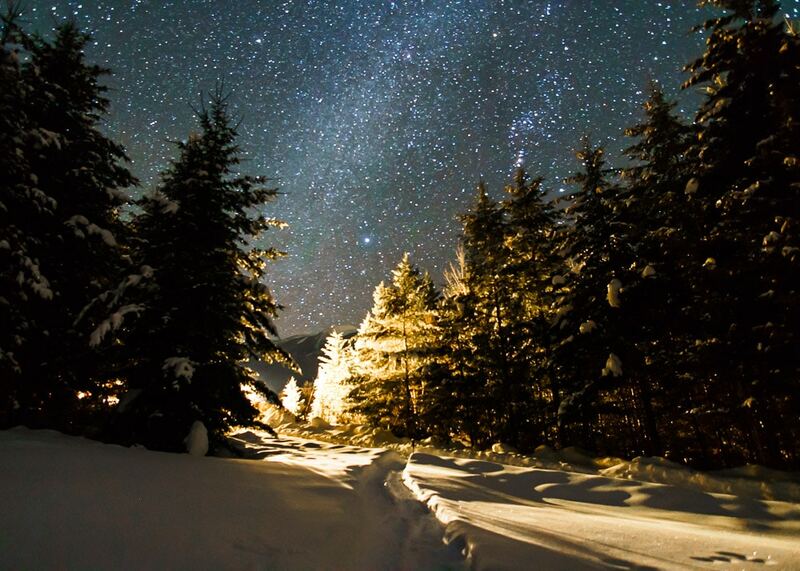 OK, this is the one time Snowshoeing was worth it. But generally, Cross-Country skiing is better! Cross-Country skiing is one of the best cardio activities out there. Indeed cross-country skiers are known to have more of the healthy “brown fat” than other athletes. It burns about 500 calories per hour so it doesn’t take long to earn your burger. Most importantly, is it’s a lot of fun, so any activity that gets you excited to outside in the winter is a worthy one! There are great cross-country ski trails right in Calgary at Shaganappi Golf Course and Confederation Park. Other tracks may be skier-set around the city but these two are officially set by the Calgary Ski Club for Shaganappi and Foothills Nordic for Confederation Park. 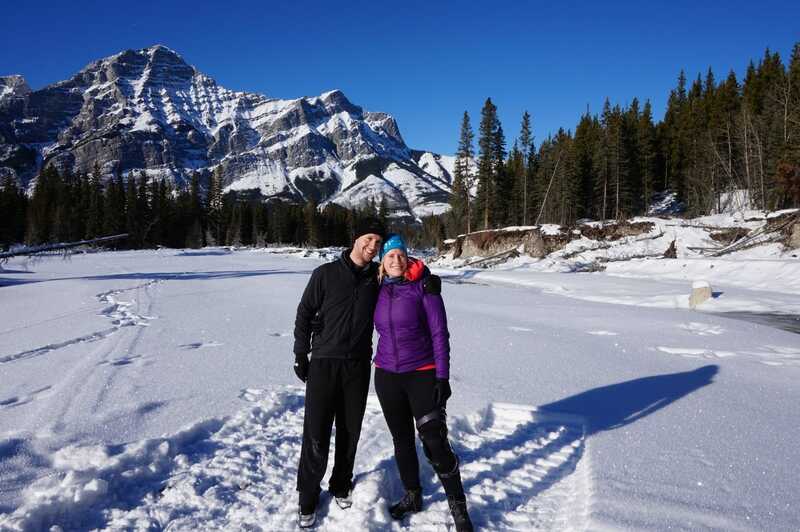 The city trails are at the mercy of Calgary’s famous chinooks so skiing in the city is not as reliable as the skiing in Kananaskis or Banff, but when it’s possible, it’s a great experience! 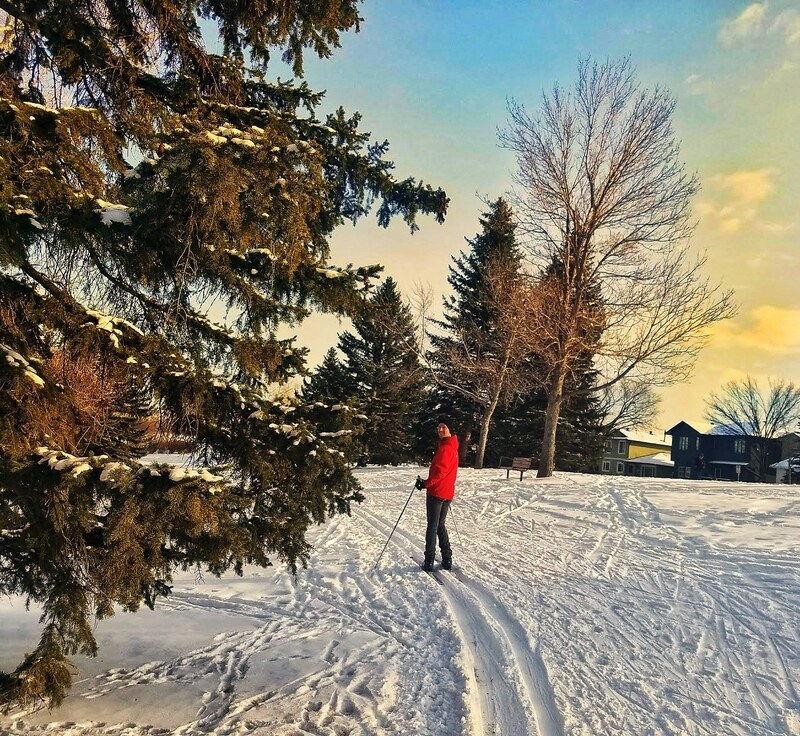 We are so lucky to have such a beautiful backyard in and around Calgary, and cross-country skiing will allow you to glide through places that aren’t accessible to anyone else. There are exquisite trails in among others, Kananaskis, Banff National Park, Yoho National Park, and dog-friendly West Bragg Creek that suit any ability so step into your skis and get gliding! Avalanche Bulletins: most cross-country trails are outside of avalanche zones, but may pass through areas where they could be triggered above. If you’re skiing or snowshoeing off-piste be extra careful. There have been fatalities from people doing this. Us! Subscribe and never miss our updates about the best trails and resorts around Calgary. Buff: Great for providing sun protection when worn as a headband and also providing extra warmth around your neck. Pulling it up over your mouth can make the first few strides in cold weather a little less jarring. Glide wax: Even “waxless” skis will benefit from glide wax being applied before each use. It becomes especially important in spring when the snow is stickier. Ski strap: Makes schlepping your skis to and from the track to your car a wee bit easier. Gaiters: I prefer tights with waterproofing like these ones, but some people like putting lightweight gaiters over their boots to keep them dry inside. Ski socks: Merino wool wins again! 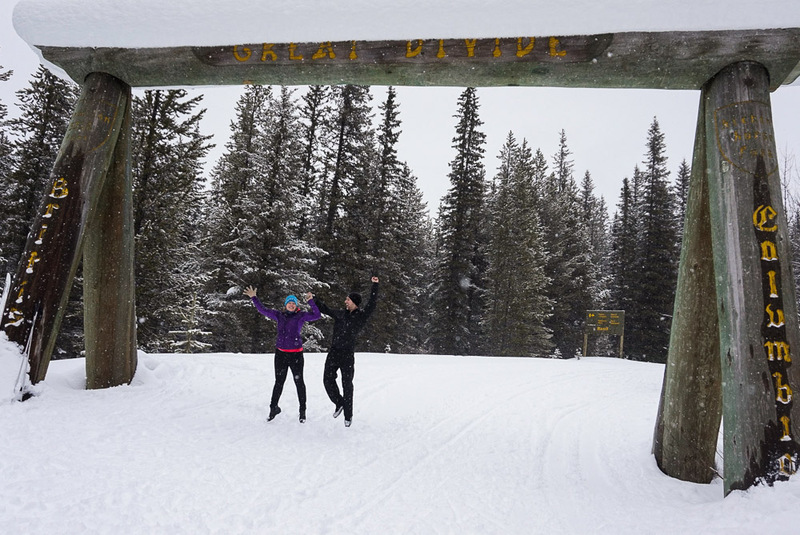 We hope we have been able to convince you to get out and try cross-country skiing at some of the amazing trails around the city and in the Rockies. When the snow flies, keep calm and glide on for some winter Zen! Next PostNext Zen Travellers’ Trip Around the World!